Wed 16 Jan Concreting in the Cold! Ray, Graham, Julian and Nick turned up on a cold & sometimes wet Wednesday to continue the maintenance work. 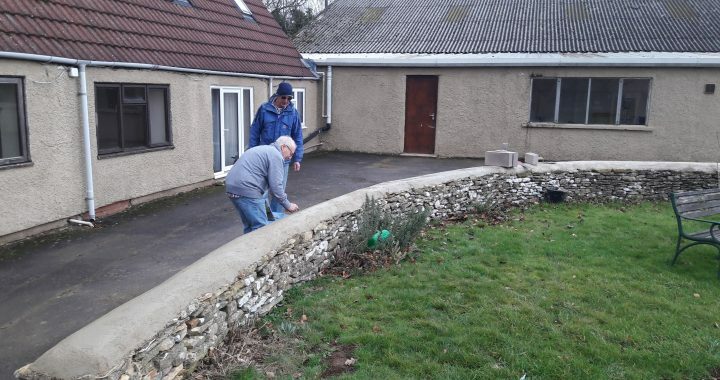 After preparing with hot drinks in the cafe we managed to finish the concrete top on the first segment of the wall and get it covered just before the next batch of rain arrived. Then it was time for hot soup and sandwiches!